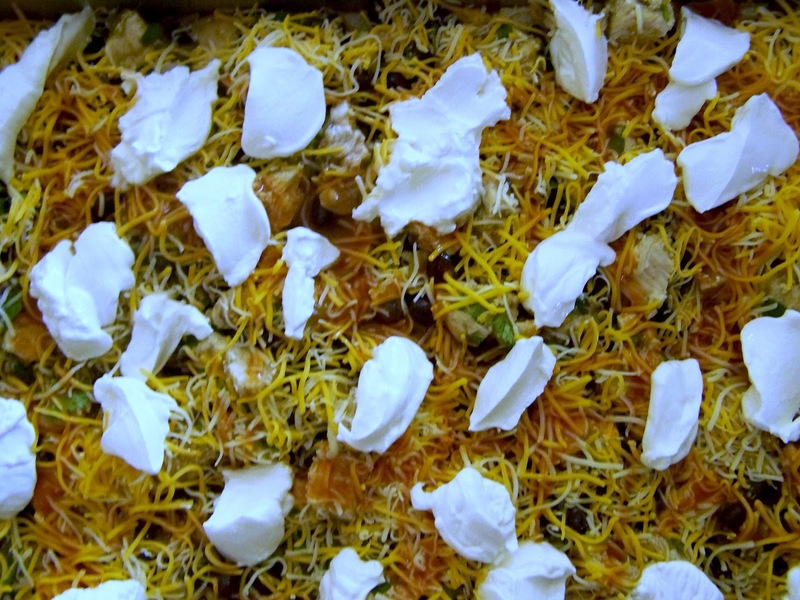 Is your family bored with the same old meals? Why not try this delicious economical dish tonight? I feed a crowd every day so this recipe is big enough to make two meals. If your gang is smaller, you can freeze half for later or half the recipe. 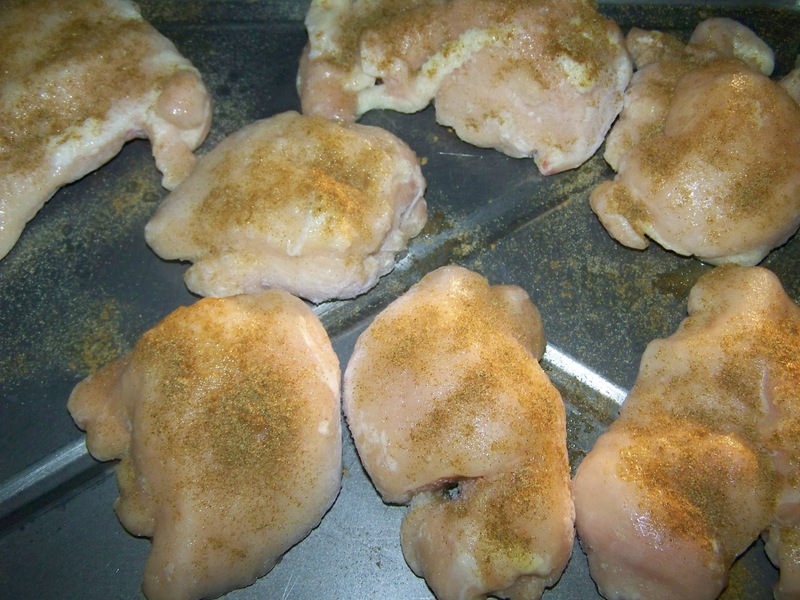 Sprinkle cumin, garlic powder and salt over 6 chicken breasts. Drizzle with olive oil and lime juice. Bake in 375 degree oven until juices run clear. I used frozen breasts and my baking time was approximately 55 minutes. In the meantime, chop approximately 1/4 cup of cilantro. 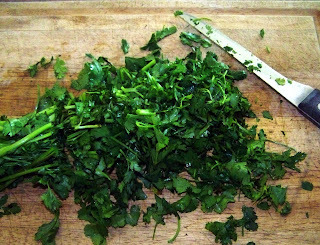 I used more because we LOVE cilantro. 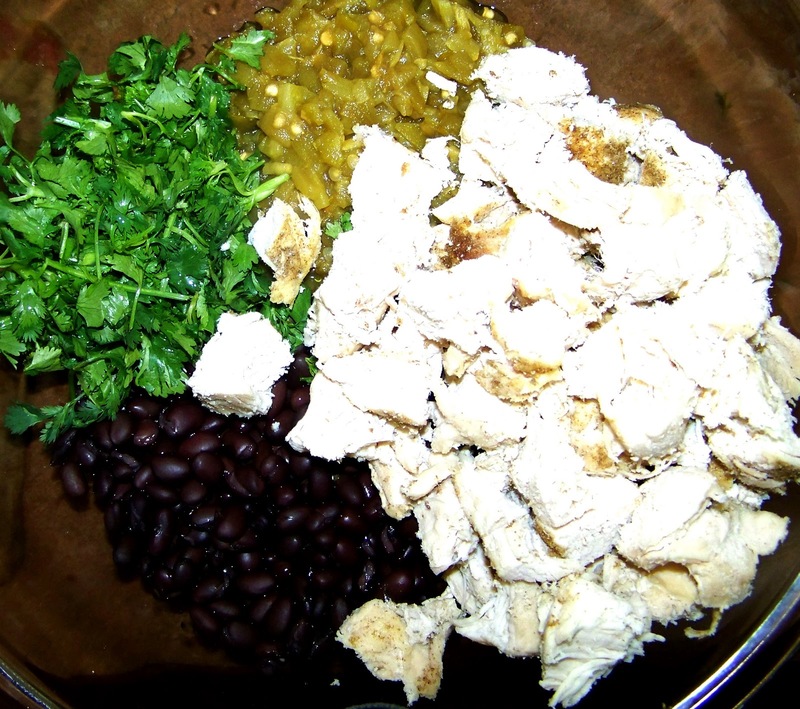 Mix 3 cans of black beans (rinsed and drained), cilantro, two 4 oz cans of chopped green chilies. Season with salt, cumin and garlic to your liking. 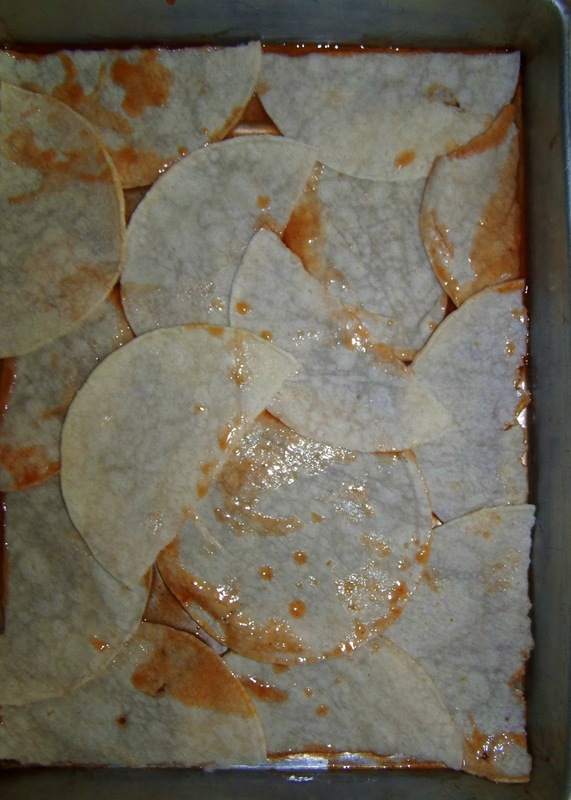 Drizzle a thin layer of enchilada sauce (I used 3 cans for the entire recipe). 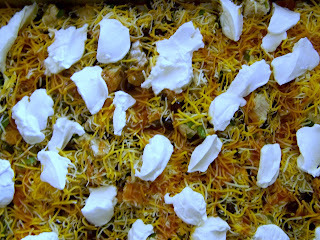 Layer corn tortillas over sauce. I used 16 corn tortillas for this recipe. 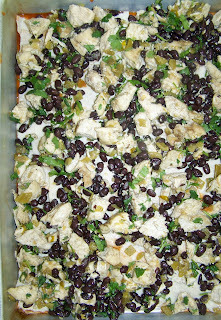 Layer 1/2 the meat and bean mixture. 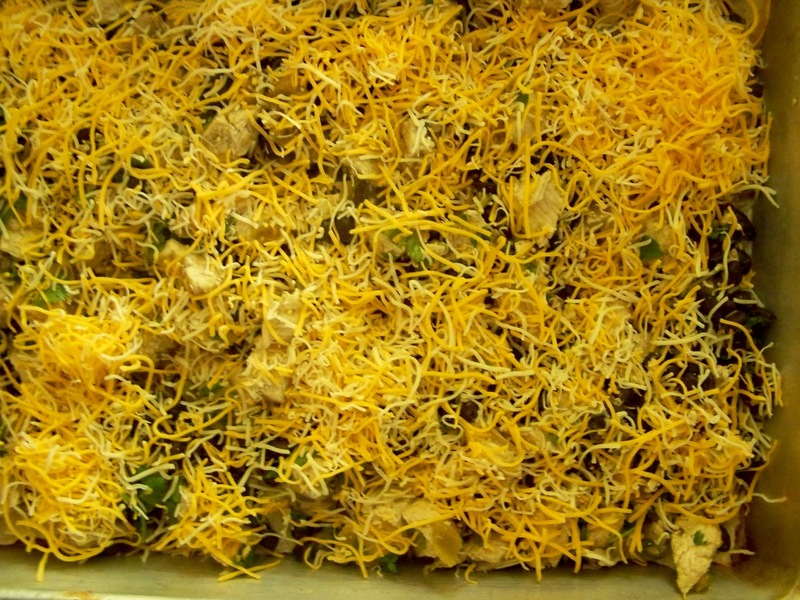 Sprinkle 1 1/2 cup of grated cheese of your preference over the meat and bean mixture. We like Colby Jack or Cheddar. 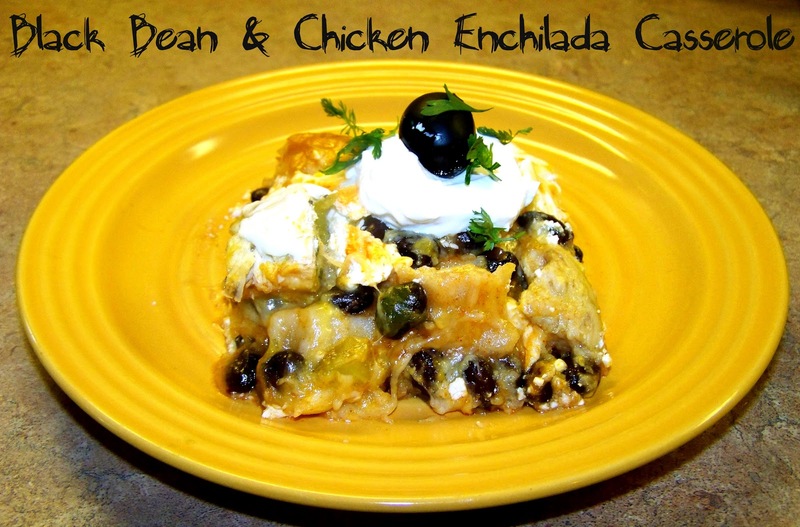 I used a total of 3 cups of grated cheese for this recipe. 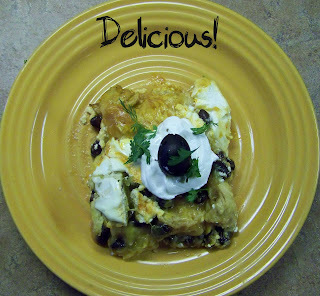 Drizzle more enchilada sauce over the mixture and dot with half the sour cream (16 oz. carton). Repeat layer one more time. Bake at 350 degrees covered for approximately 45 minutes or until mixture is bubbly. 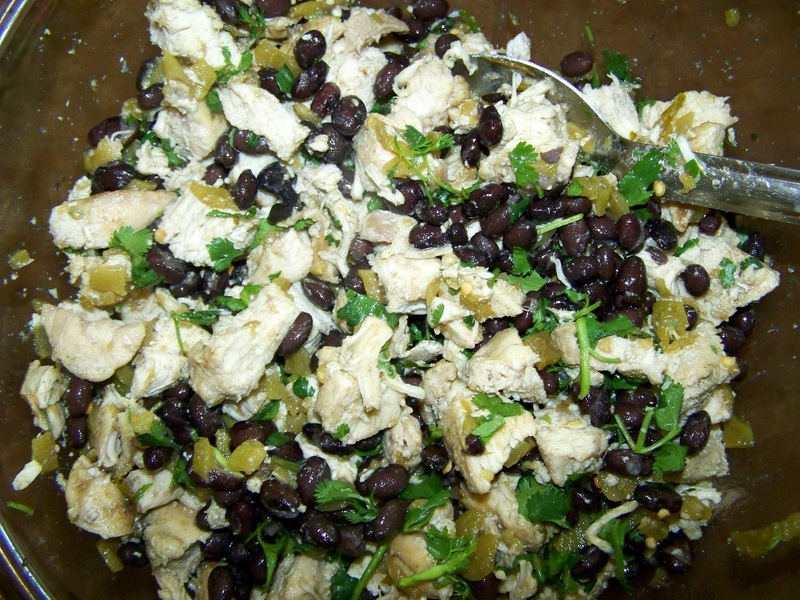 Serve hot, garnish with any combination of sour cream, black olives, cilantro or salsa. Enjoy! You can report them to blogger and they will take down the stolen post from their page. They stole several of my posts too, and I had blogger remove them. Thank you Kellie, I will check it out and report them. It's kind of you to let me know. Have a great day! Hi, I make a similar dish and always add canned corn. I love the sweetness and crunchiness.